Wow, this is really cool. 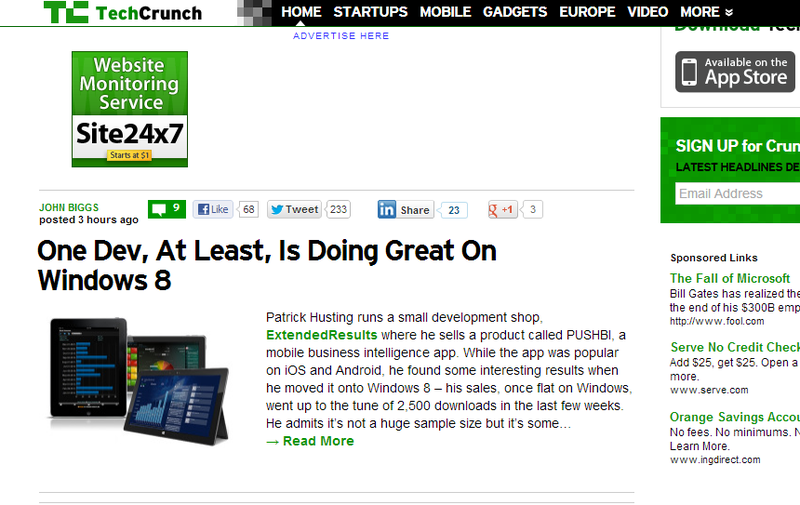 TechCrunch posted a great write-up on our PUSHBI product and the success on Windows 8. Nice to see some positive press on Windows 8 because of Extended Results! ← What does Windows 8 and the world famous Harrods have in common?